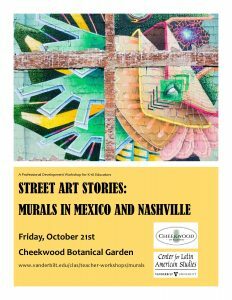 Description: Join Cheekwood and the Center for Latin American Studies at Vanderbilt University for an exploration of Murals in Mexico and Nashville. 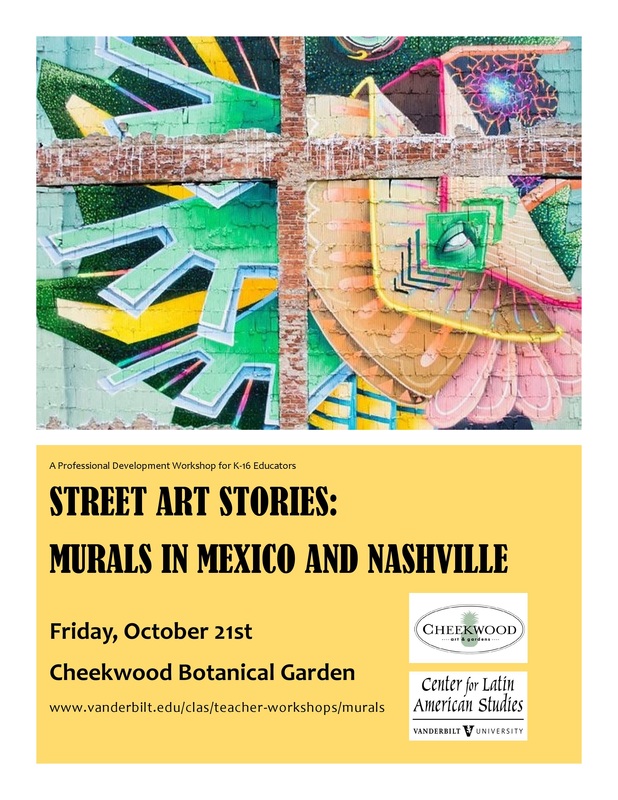 Dr. Leonard Folgarait, Professor of History of Art at Vanderbilt University, will explore Mexican muralism, and the creator of the Nashville Walls Project Brian Greif will delve into the murals found on walls all around Nashville. Teachers will engage in an interactive art activity, as well as practical classroom applications to a variety of grades and subject areas. You won’t want to miss this exciting workshop to learn about street art in Nashville and abroad! Registration: $30 Includes all materials, breakfast, lunch, and parking validation, and a ticket to Cheekwood’s Día de los Muertos celebration on Saturday, October 29.